Vous etes, dans votre vie quotidienne, au centre du conflit. This is a slogan chanted during the protests against the Free Trade Area of the Americas in 2001 in Quebec, Canada. We are in our daily life in the centre of the conflict. Reineke Otten, a designer working in visual sociology, documents daily life all around the world for some time. Although I am quite critical about this classification efforts, Reineke’s work is fascinating in terms of documenting the daily life in different context and situations. 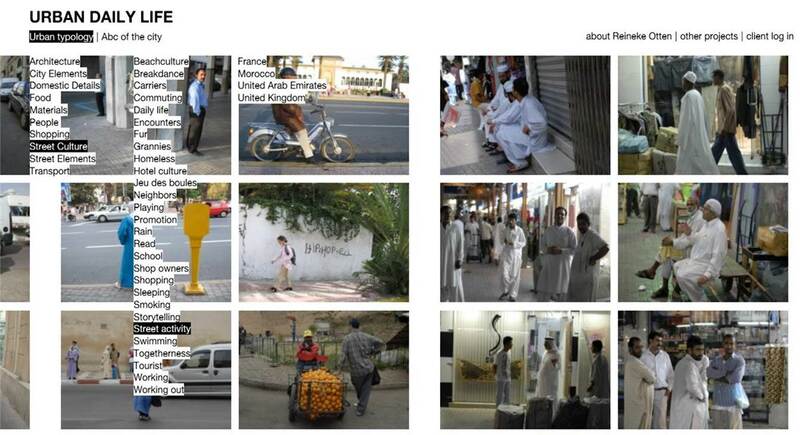 It provides a visual database for an urban researcher and for whom interested in the daily life of people. This is an ever expanding database, can be found online urbandailylife.com.